As George H.W. Bush was eulogized on Wednesday, Jonathan Van Ness posted on Twitter to remind people of the 41st president's failure to adequately address the AIDS epidemic while he was in office. 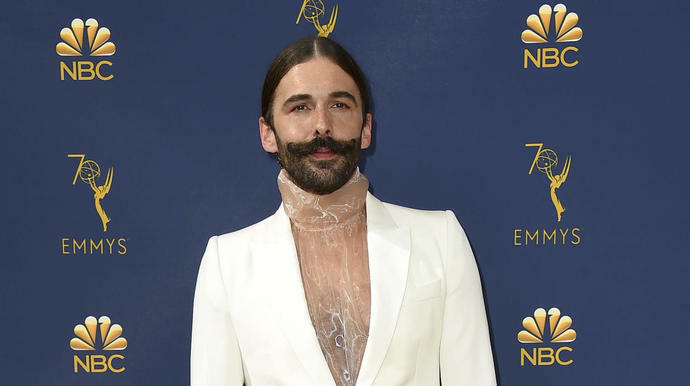 "Serving our country is great but remembering people and their actions clearly and accurately is important," the "Queer Eye" star wrote. Bush died on Nov. 30, on the eve of World AIDS Day, which was established in 1988 to raise awareness about the HIV/AIDS pandemic and mourn those lost to the disease. For many people, Bush's death served as a reminder of the White House's response at the time to the disease, which in the U.S. was predominantly spreading in queer communities. Bush served as vice president in Ronald Reagan's administration, which largely ignored the epidemic, and Reagan's press secretary Larry Speakes even joked about it. Reagan infamously refused to use the word "AIDS" in public until 1987. Critics said Bush, who won the presidency in 1988, didn't treat the epidemic with the urgency it required - a response that activists say was indicative of wider anti-LGBTQ sentiment in the GOP. "I think President Bush's tenure was noticeable for its absence of leadership on AIDS, by its opposition to LGBT nondiscrimination and rights, and by its capitulation to the anti-gay forces within the GOP," Urvashi Vaid, who led the National Gay and Lesbian Task Force from 1989 to 1992, told NPR. Bush did sign two pieces of legislation in 1990 to address the crisis: the Americans With Disabilities Act, which protected people living with HIV and AIDS from being discriminated against, and the Ryan White Comprehensive AIDS Resources Emergency Act, which provided federal funding for HIV/AIDS treatment. Today over 1.1 million Americans live with HIV, according to the Centers for Disease Control and Prevention. Roughly 70 percent of new HIV infections in the U.S. are among gay and bisexual men, and 44 percent are among African-Americans. Van Ness warned of a return to inaction on HIV/AIDS under President Donald Trump, who in December 2017 fired the entire staff of the Presidential Advisory Council on HIV/AIDS and who has offered no clear strategy for dealing with the ongoing epidemic.